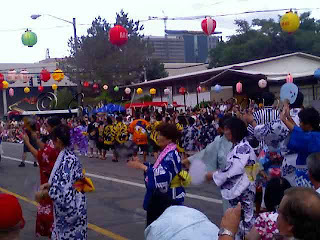 This past weekend was the Obon Festival at the Buddhist Temple downtown. Through the years we have talked about going but we always seem to have a conflict. 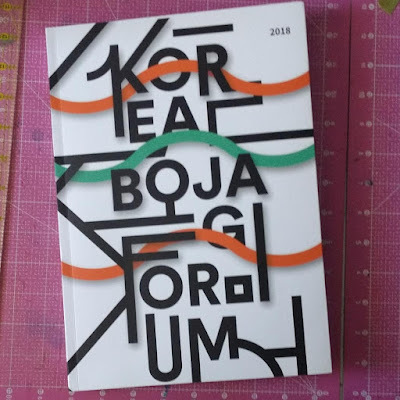 This year we were finally able to attend and enjoyed the sights, sounds and tastes. We were surprised at the number of people we ran into that we knew. Although with my husband, I should never be surprised as he seems to know someone everywhere! 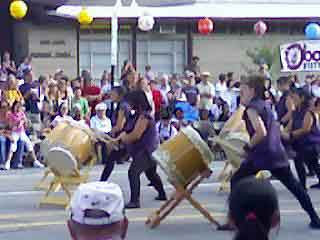 The Taiko drum performance was my favorite part of the festival. The festival is a Japanese Buddhist custom to honor deceased ancestors. 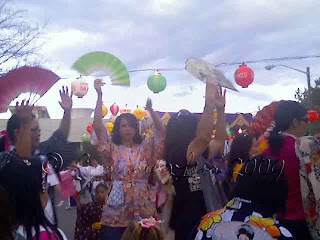 One of the many activities is dancing the Bon Odori to celebrate and honor these ancestors. The line of people wanting to dance was long and included everyone from small children to those with lots more years under their obi. The little children were especially entertaining, with some just tapping their fans and watching those around them dancing. My two youngest girls enjoyed the drumming and dancing but were most excited to visit the food and merchandise booths. Inside the Temple's gymnasium there was a long line of Japanese food to be purchased. The line to get in went down the hallway and out the front of the Temple. We got into line thinking it was the line to see the Temple. We were very embarrassed when we discovered it was the line for food! We had just finished dinner before arriving and so we made our way out and then into the chapel for a look around. Later we visited the booths outside which offered everything from Snowcones with Azuki Beans (we chose to have snowcones with ice cream instead) to hotdogs and cotton candy to Japanese Fabrics (drool) and Kimonos to stickers and toys to fans and umbrellas. Everything seemed to be very nicely priced and so the girls treated themselves to a souvier. One bought an umbrella and one bought a fan. Both were beautifully painted and made of a nice silky fabric. As we inspected the fans an elderly gentleman approached us to show us how to flick the fan so that it opened quickly. We are still trying to perfect the method he taught us.